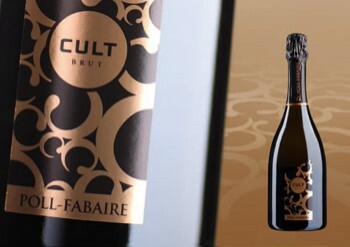 A Cuvée Brut and a Cuvée Pinot Noir, were developed from selected base wines and are gaining ever greater not least because of their name. 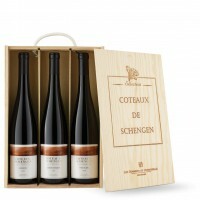 Alongside the Crémants the Schengen region produces of course equally outstanding still wines carrying the label „Coteaux de Schengen“. The grapes used in the production of these wines come from specially set-aside areas of the vineyard and are produced in the Remerschen cellars. The unique quality of the five varieties Auxerrois, Pinot Blanc, Pinot Gris, Riesling and Gewürztraminer is guaranteed, above all, by the select work of the vintners in the vineyards and the skilled input of the cellarers. 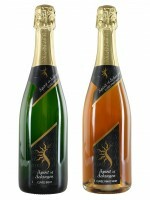 Alongside the 75 cl bottle, this wine is also available in a 50 cl and a 37.5 cl bottle. 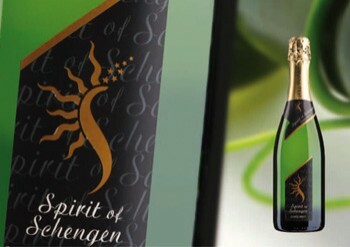 The Schengen Prestige quality charter stands for very special wines stemming from a very particular idea. Vintners from three countries: Luxembourg, Germany and France, launched this quality project together. Passion for creating great wines with character and expression was the driving force behind this initiative. An expert committee consisting of vintners and oenologists from the three countries came up with strict general conditions. To be able to produce wines under the Schengen Prestige Charter label, the age and the location of the vineyards have to meet the required criteria. The yield also has to be within a maximum of 60 hl / ha. An expert committee revises the criteria of the Charter several times a year. If the grapes are healthy and the criteria are fulfilled, then the grapes are harvested by hand and processed in the Remerschen cellar. After maturing in their bottles for about a year, the wines are tasted by an independent committee of experts and only, with the agreement of this jury, are they then placed on the market. 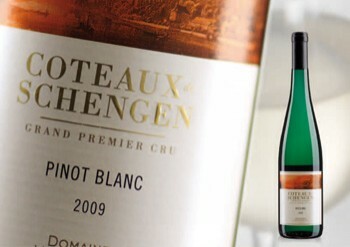 It was with the 2008 vintage that the first Schengen Prestige Charter wines were born. The accepted varieties are Auxerrois, Pinot Blanc, Pinot Gris, Riesling, Gewürztraminer and Pinot Noir. With the rejection of mass production and the extremely high quality criteria set by the Charter, the basis is laid for full-bodied, concentrated and aromatic wines. All the wines can be tasted in our wine shops.